Why my Dog Won't Come Inside when Called? Wondering why your dog won't come inside when you call him? Even if you plead him and try to lure him inside with a treat? There may be several reasons. Trying to get inside Rover's brain may be helpful, so we can do some trouble shooting and help him out. There are some trainers and behavior consultants who find it a fruitless activity trying to figure out why a dog behaves a certain way as they use a cookie-cutter approach for solving specific issues, but it's my belief that understanding the dog's motives may play a crucial role on the outcome since the strategies used will be tailored to working on the underlying emotions. The cliche' often entails similar scenarios: you let your dog out in the yard to relieve himself. A few minutes later, you call him and he is AWOL. Or chances are, he is there, but he is totally ignoring you as if you are speaking to a tree. Or it's time to go to sleep and your dog needs to come inside. You want him inside during the night, but he is very reluctant to come inside. Even when you put the leash on, you have to drag him in. You tried tossing treats inside, but right when you are about to close the door, he grabs the treat and slips outside again. Now you have your dog outside again and on top of that he has taken the treat as well! So what's left to do? Let's first figure out why your dog wants to stay outside so much and why he refuses to come inside when called. You just got your dog from the shelter or rescue. You don't know much about this dog's history. He may have never been in a home before. It could be he was always kept outdoors. He may be wary of you and still needs to create a bond with you to trust you. Your dog belongs to an independent breed. These dogs have a history of being selectively bred to work at a distance from their owners, making decisions on their own and spending a great deal of time outdoors. Hounds and livestock guardians come to mind. 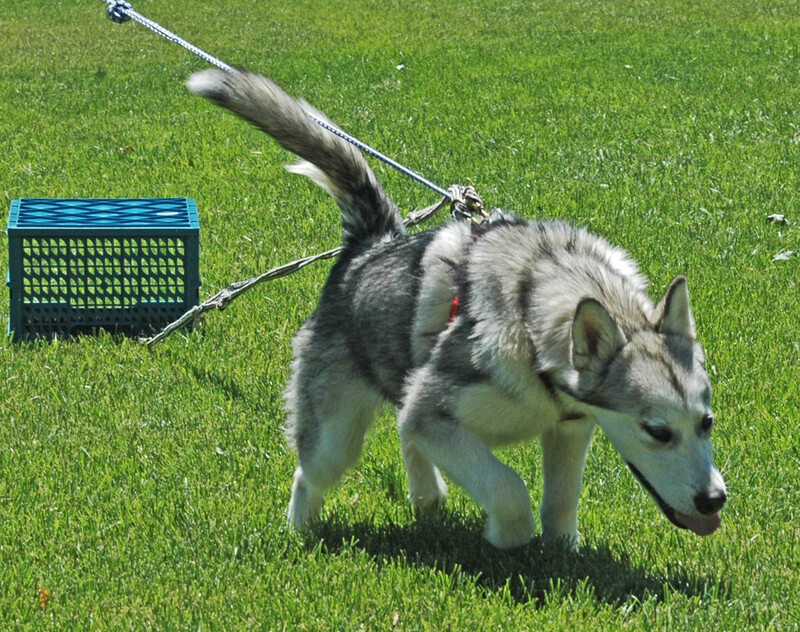 Your dog gains a lot of reinforcement from your yard. He loves to explore and loves to spend the day chasing birds or eating rabbit droppings. Coming inside is almost like punishment to him. Your dog gains little reinforcement in the home. When you call him to come inside, it's either bath time or you continuously scold him for not behaving. Your home may be too hot or too cold for him. Your dog may get stressed by noises or may not like being around rambunctious children in your home. Your dog spends most of the time outside. Dogs are habit-forming creatures. If they get used to staying most of the day in the yard, they adjust to that lifestyle. They likely have their favorite sleeping spots and his food and water is out there. He's used to digging. chewing and barking for a good part of the day and doesn't take much guidance from you. Your dog feels the need to protect the yard all day and he takes the guard duty very seriously. He spends most of the time barking at people/animals waking by. When in the home, he constantly wants to check windows and barks at noises and gets frustrated because he wants to go out to check things out. 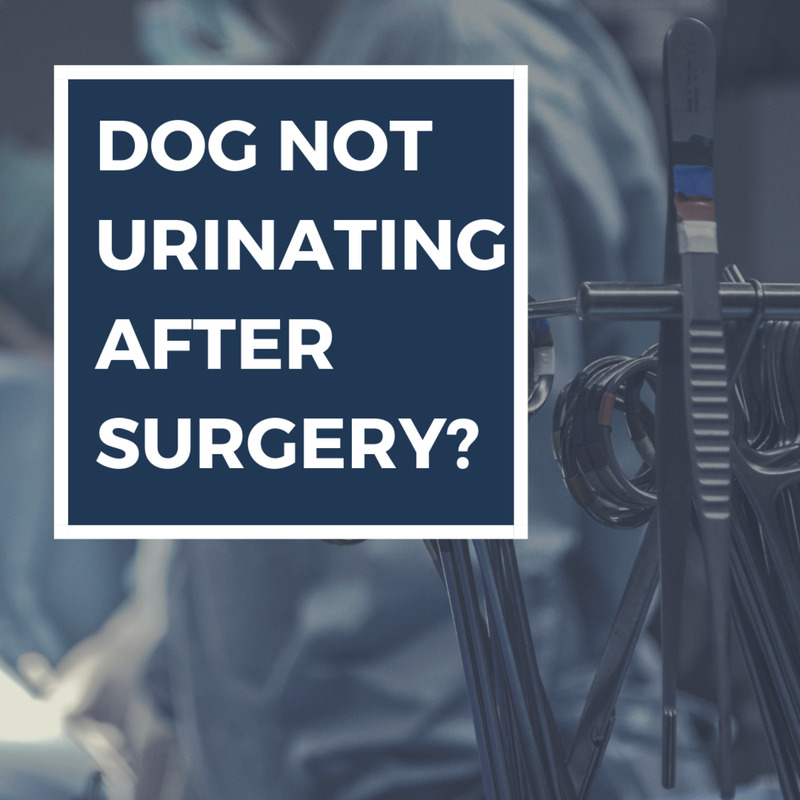 Your dog has a poor recall. He wasn't trained well to come when called so your recall has little meaning or has lost it's entire meaning (learned irrelevance) or he was punished in the past when he responded to your recall so now you're stuck with a poisoned cue. So when you call him inside, he either doesn't know what you are trying to achieve or he is scared about the consequences. 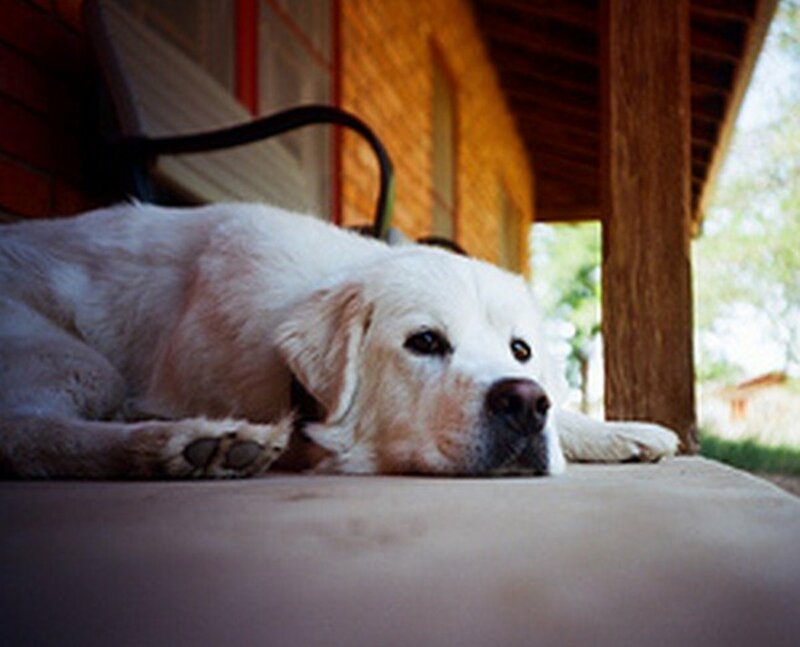 Have you identified a possible cause as to why your dog doesn't come inside when you call him? If yes, then you need to work on the issues. And just in case your dog is not neutered and suddenly he won't come inside, chances are he may be sniffing a female in heat somewhere. Following are some tips to help your dog adjust to your home and so you both can enjoy indoor time more together. 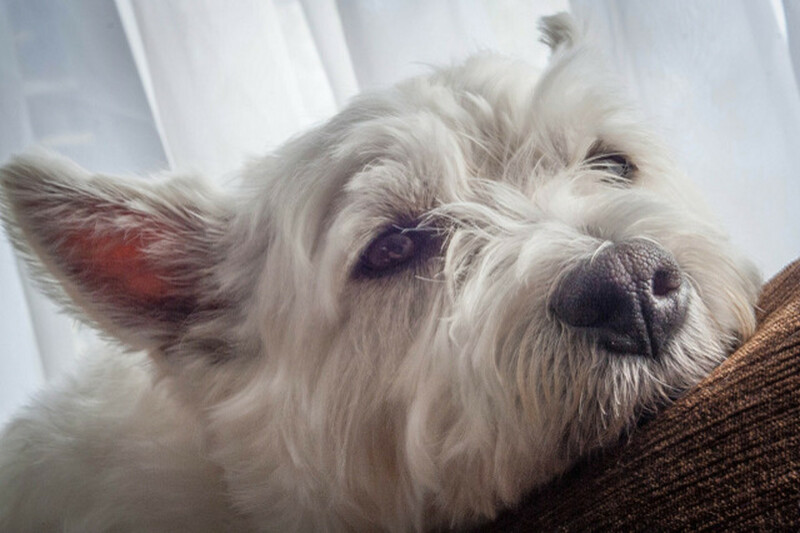 15 Tips to Help your Dog Love Living Inside. Walk your dog, exercise him and provide loads of mental stimulation. Many owners still believe that a yard is a substitute for walks. It it not. Your dog still needs healthy exercise and a walk is a good way to ensure his exercise needs are met. A tired dog is a good dog. Dogs thrive on mental stimulation as well, and it's best if this comes from you, through games, interactive toys and fun training sessions. These activities will help increase the bond between dog and owner. Don't lure your dog inside with a treat and then quickly close the door behind him. If you show the treat to your dog to entice him to come inside, he'll likely take the treat and try running outside with it or he may panic the moment he eats the treat and sees you close the door. In this case, you may be stuck with a dog that will enter only when he sees a treat or you may be stuck with a dog who senses that the treat is a trap, so next time he'll feel extra wary and reluctant to take it. That little bit of trust is soon gone. Instead, throughout the day, when he's by the doorway, toss treats to the ground, sit nearby and let him eat them and don't close the door. Since you are sitting, he will know it's not your intent to close the door behind, and since the door is open he won't feel trapped. Do this several times so he learns that inside is a great place and not a trap. Day after day, your dog should come more and more inside to check for goodies. Break the bad associations. Dogs learn through associations and can chain events. If every evening, you open the door, call your dog and then go grab your dog by the collar to pull him inside, he'll soon learn that when you open the door, call him and move towards him, you are about to close him. So a day may come where he will start escaping from you because he knows what's about to happen. Instead, become less predictable and do something totally different. Go by the gate, put his leash on, go for a brief walk, give him some treats and then head inside and give him more treats. This way you break the negative associations and create new ones. From "every time my owner calls me and grabs me by the collar, he pulls me inside" it should turn into "every time my owner walks by the gate, he puts the leash on, and we go on a fun walk and I get treats". Make your home comfortable and rewarding. 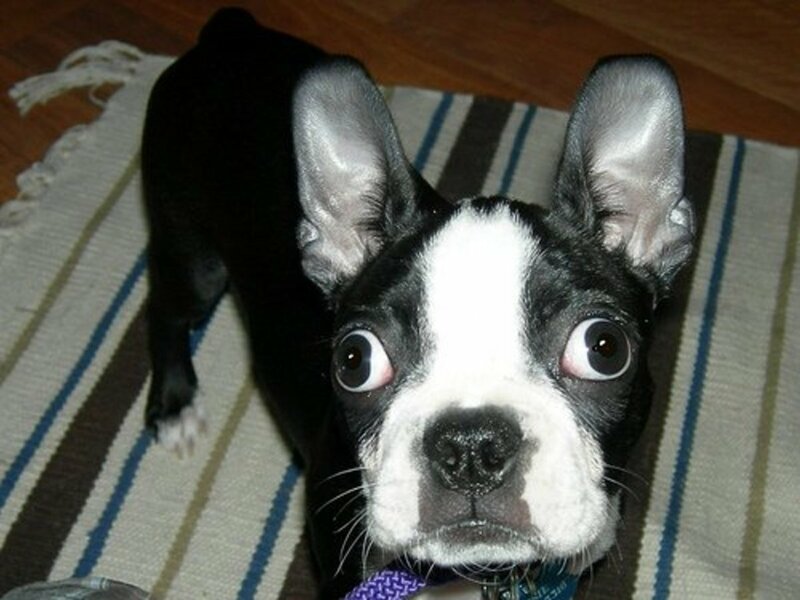 If certain noises startle your dog, do everything possible to reduce them or muffle them with some white noise. Keep your home at a comfortable temperature. If you have boisterous kids, make sure your dog has a quiet place to retreat where the kids won't bother him. Provide toys, let your dog engage in fun foraging games, feed him only inside. Don't punish your dog for not behaving in the home, give him time to adjust through gentle guidance. Many owners send their dogs outdoors because they can't cope with dogs not behaving as they want in the home, but these dogs are never really given an opportunity to learn! Leave your recall at the door. If you call your dog to come inside and he doesn't listen, stop calling him and poisoning the cue. Instead, do other things that will attract your dog inside and that your dog looks forward to do. Walk inside and go straight to the kitchen to unwrap a piece of cheese for him and place it in Kong. Run inside if your dog loves chasing you. Get a flirt pole and entice him to chase it inside. Make sure though to let these activities last a bit so your dog won't go into thinking that these events are just another trap to get him inside. Keep him entertained or he'll soon want to go back out. Use the recall only once he has learned that great things happen inside. Don't stick by the doorway. The door way will remind him of going back outside and he'll be asking out soon. Instead take him to a central room where he can temporarily forget all about the outdoors with all its enticing sights and smells. Again, keep him entertained and stimulated. Take advantage of warm/cold weather. Play with your dog outside for a bit when it's warm. He'll soon feel hot and he will be thirsty. Then entice him to follow you indoors where you have the AC running and a nice bowl full of fresh water for him. You can also add a few ice cubes or give him some dog ice pops to let him have some more fun. When it's cold spend some time with him outside and then invite him to enjoy the warmth of a crackling fire. The indoors should feel rewarding compared to the outdoors. Limit access to windows. Dogs who feel compelled to guard and act territorial may start relaxing if you limit access to windows or if you put some window film over them so that your dog won't see too much action going on. Don't fall into the trap of chasing your dog or grabbing him by the collar to pull him inside. Yes, these methods may be the fastest way when you need him in at once, but soon your dog will resent them and you'll soon end up with a dog that escapes from his owners or worse, a dog who snaps when you grab the collar. You need to go to the source of the problem. Get your dog used to indoor noises by using desensitization and counterconditioning.If you have a new dog, read the hub "how to get my new dog used to living in the house"
Remove wildlife from your yard. Secure your fence, fill up any holes and use safe repellents to keep critters away from your property. Let your dog spend time outside with you. Keep a treat pouch attached to your belt and reward your dog when he comes near you. These voluntary check ins, increase your bond with your dog and teaches your dog to stick by your side and bond with you more. Put going inside on cue and make it a fun, happy event. When you are out with your dog, say something like "let's go inside!" in a happy, enthusiastic tone of voice and then let a rainfall of treats fall to the ground as you close the door. *Note: while many dogs enjoy spending time inside with the owners, in most cases this is the case when the dog's needs for exercise, mental stimulation and socialization are met. In some cases though, your choice of breed may have an impact. Some dogs were not meant for apartment living. Others can live inside but you'll need to find ways to keep them entertained in positive ways. Expecting these dogs to be happy in the wrong environment and with an unsuitable lifestyle is not fair. Alexadry© all rights reserved, do not copy. And of course make sure you don't have kitty on guard duty! Why is My Newly Adopted Dog Scared of the House? Is your newly rescued or adopted dog scared of his new home? Learn why the first days may be scary to your dog and how to help him. What exactly are DAP diffusers and how and when can they help dogs? Learn why I love using DAP diffusers and what studies have to say about them. Many dogs are prone to getting very distracted when they are outside. Why does this happen and how can you help your dog focus when he's outside? Tips for getting your dog's attention. Is your dog running away from you? It may be frustrating to catch him and of course, granted, you'll be the one ending up breathless. Tips for owners of dogs who run away. 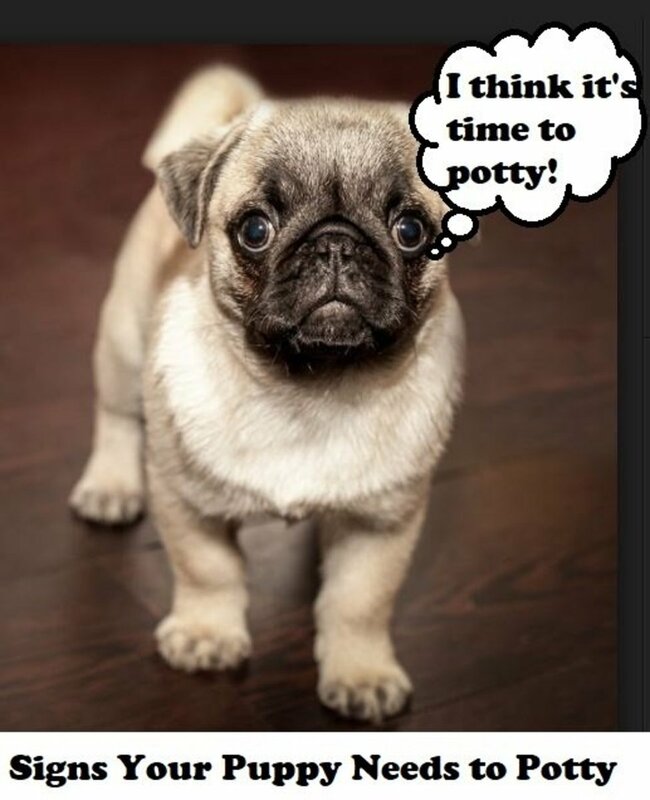 Why Is My Dog so Picky About Where He Poops? My dog is 8 he has been through a lot. He usuallly hates going outside at this time. Because its winter and he hated being cold. He is a short fured astraillain terrier half bordercollie. We have never had trouble getting him in before in the winter unless he has run off. When we call he sits there on the deck staring at us. Shaking as if he was cold and wants to come in. We call him again but he will just watch us. I love my baby so much and it pains me to see him act in this way. I could really use your help. Why is he acting this way? How can i help him? Dogs are my best choice of pets and with such helpful information there is so much one can learn from here. Voted up, Useful, and interesting. Interesting, and truly helpful tips. I can see number 2. being so true for my Sheppard mix. It really helps explain her behavior. Thanks for the tips on giving treats to come in, also. We definitely have Problem #3 with our goldens! Ack! Takes some mighty tasty lures to get 'em to come in (cheese seems to work). They each get an hour a day of walking, but they are insatiable when it comes to outside entertainment. Great discussion of a problem for lots of dog parents. Voted up & sharing! Good hub. Understanding our pets can be puzzling sometimes. Mine don't mind very good, but will usually come in when I call them. But my Chihuahua/Jack Russell mix is a character. If he thinks he can catch a mouse or other critter out there he will not come in until he is good and ready. Lol, I wished there was an effective proven way for cats. I remember I had a cat as a child that always had me worried as he would escape from the yard and never came when I called him. At some point, I was able to shake a box of his kibble and the noise would have him running. But then one day he stopped responding to it. My theory: he was hunting, most likely very concentrated and didn't want to be bothered. I think if he could talk he would tell me "you know what? I would choose a dead mouse or dead bird every day over that oh-so-boring kibble." Excellent advice now can you write one to make the cat come in. I spend an inordinate amount of time chasing pets who escape out my door. My neighbors have become all to used to me in pjs , thrown on jeans, and wild hair chasing fur balls... They all eventually give up. Maybe they are getting me to exercise.